Australian actor Clare Bowen found international success in the TV show Nashville. For six season she played singer Scarlet O’Connor in the popular show but now she’s revealing a project that a lot more personal, her own music. The singer’s self-titled debut album was released on Friday and she spent the day doing a cavalcade of interviews with TV stations, radio presenters and print journalists. At the very end of the day she chatted to OUTinPerth. Bowen said fans putting the album on for a spin will get to hear her rather than the character she’s played for many years. “They’ll get me. That was the most important thing for me. I’m going to let other people decide what kind of album it is, but for me as an actor, and as a musician, I had to kind of shoo out all of the characters I’ve ever played, and all the characters I will play in the future, and make sure that none of them were there. “Then I had to dig down and find out exactly what it was the best representation of me.” Bowen said. “You’ll hear stories from my life, my childhood stories, stories from the lives of people that I love, stories that I’ve heard other people tell that I fell in love with myself.” Bowen said. 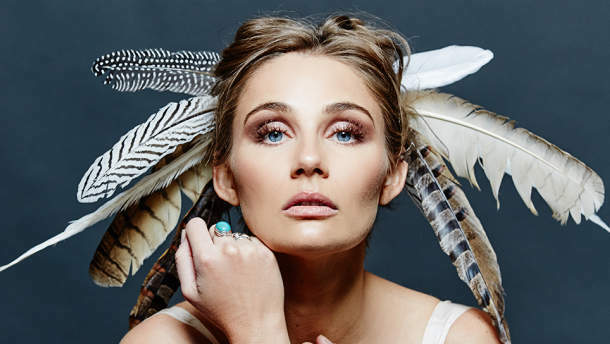 Take a listen to the audio of our phone chat with Clare Bowen and catch her playing live at The Astor Theatre on Thursday 27 September.